Speakers are drawn primarily from end-user organisations and include big guns and old hands as well as new kids on the block. Already confirmed speakers include BNP Paribas, Barclays, Clear Channel, Shop Direct, Samsung, EMVCo, Absa, Vodafone, Telecom Italia, Japan Airlines, SAS, SITA, Turkcell, La Caixa, Orange, Forum SMSC and GlobalPlatform. 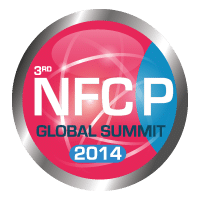 There will also be presentations from international loyalty programme operator Aimia, Transport for London and Jiménez Dorado, the Spanish bus company that was first to launch HCE-based NFC ticketing. Further speakers representing the retail sector have also been invited. Simply fill out the form below and we’ll send you, without obligation, further information about the NFCP Global Summit as well as a discount code that will save you a full 20%* on your conference registration. * The earlier 15% discount offer applied to the early bird rate. A 20% discount applies to the regular rate.